Entry-level and mid-tier smartphones are about to get a boost in performance, power and features thanks to Qualcomm's new Snapdragon chips. The San Diego based firm is cascading flagship features from its premium 800 processor range down to its more affordable 600 and 400 offerings. That means smartphones rocking Qualcomm's new Snapdragon 620 and 618 processors will benefit from the likes of 4K video recording and playback, next generation graphics, beefier cameras, faster download speeds and quick charge technology. It also means we could see mid-range handsets sport QHD displays, something which only a handful of top smartphones can currently boast. Entry level devices are also getting a boost, and we could see bargain basement handsets sporting octa-core (yes, eight cores) processors before the year is out. There are two new chips at this level too, the Snapdragon 415 and 425, with the former offering LTE speeds of up to 150Mbps and Qualcomm expects to see it in phones in the first half of 2015. 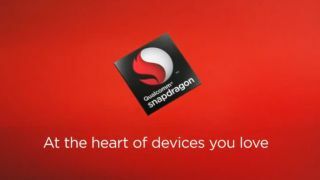 The Snapdragon 425 meanwhile can supports data speeds of up to 300Mbps, giving blisteringly fast connections to low cost mobiles. The 425, 618 and 620 chips are expected to hit devices in the second half of 2015.